Be sure to include a phone number along with your carefully printed name and full address! Also, indicate how you would like the book signed. Click here if you have questions about the book! Old Fort St. Vrain is well written, easy to understand and loaded with stories, illustrations and maps tracing the life of the fort and it's people throughout it's entire existance. Dr. Brotemarkle has taught English and humanities at various colleges and universities in the United States and in West Africa as a Peace Corps Volunteer. She directed the humanities program at Aims Community College in Greeley, Colorado and is the author of 2 previous book-length publications on humanities topics. She has served as chairperson and on the Board of Directors of the Colorado Endowment for the Humanities. Now retired, she devotes her time to writing and research. 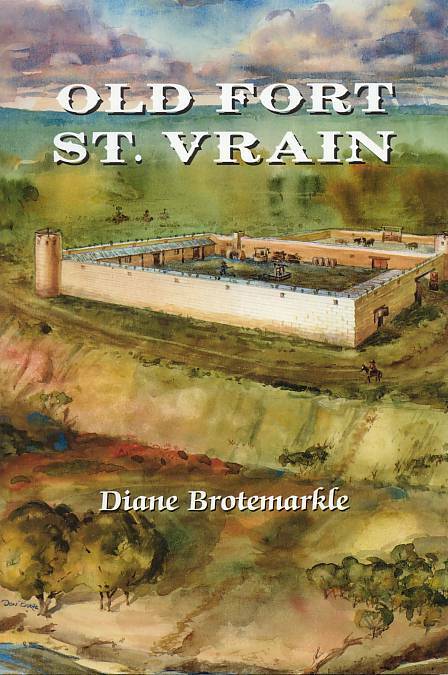 Old Fort St. Vrain, by Diane Brotemarkle, was published in early 2001 and is the most extensive work on the life and times of this 1830's fur trading post.